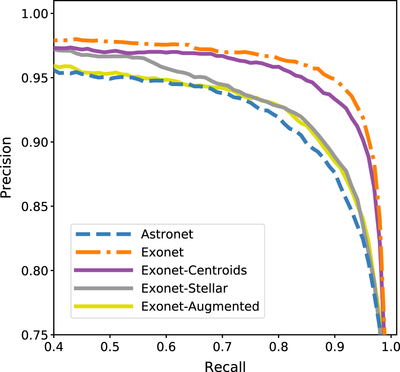 Precision-recall curve of Astronet (Section 3.1) compared to those of Exonet (Section 3.2) with different additions of scientific domain knowledge to show the individual contributions to increases in model performance. 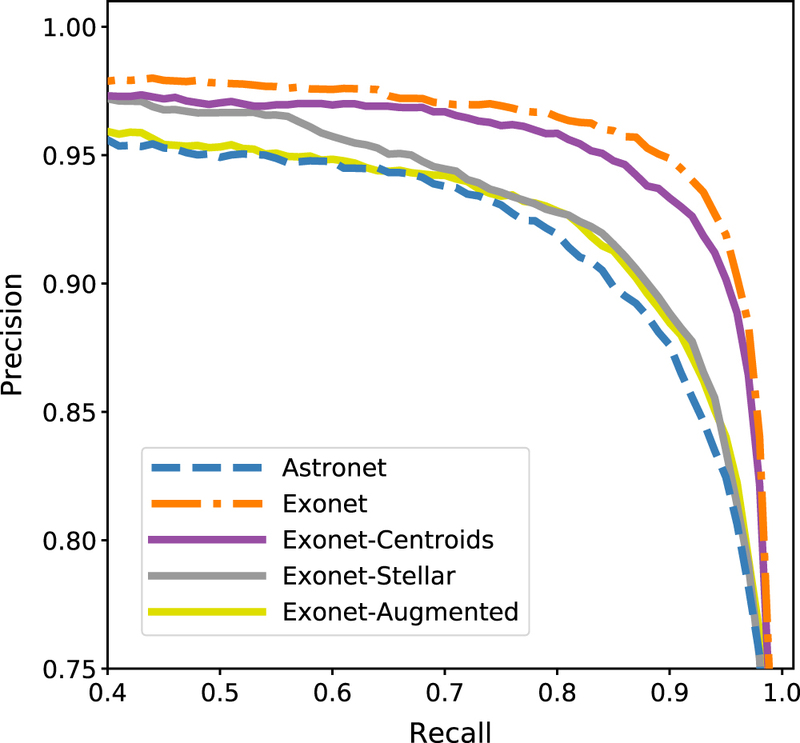 Exonet-Centroids is just the addition of the centroid curves, Exonet-Stellar is just the addition of the stellar parameters, and Exonet-Augmented is just the addition of our supplementary data augmentations. Exonet then combines all of these improvements into a single model.